I just found out about the ^1, ^2 etc. keyboard shortcuts for switching to desktops. Those only do desktops though. How can I set-up keyboard shortcuts to switch to spaces? E.g. full-screen safari is space 1, desktop is space 2, safari's fullscreen video that's being played is space 3. I'm afraid this is one of those features that was just really badly thought-through from the outset, when the new fullscreen paradigm was added, & hasn't been fixed yet. You can only use key commands to go directly to numbered Spaces. Fullscreen Spaces don't have a number. 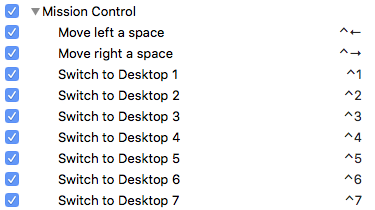 Best you can do is use the number keys to get to the last numbered Space, then Ctrl ⌃ → to get to the fullscreen Space you require. Yet another reason I never use fullscreen. BTW, according to your Shortcuts picture, you only have one Space set up. The Ctrl ⌃ [num] shortcuts are added automatically [but not activated by default] as you add each potential Space. Safari full-screened to the right, as an example. Spaces have numbers, fullscreens have names. Not the answer you're looking for? Browse other questions tagged macos keyboard high-sierra spaces fullscreen . 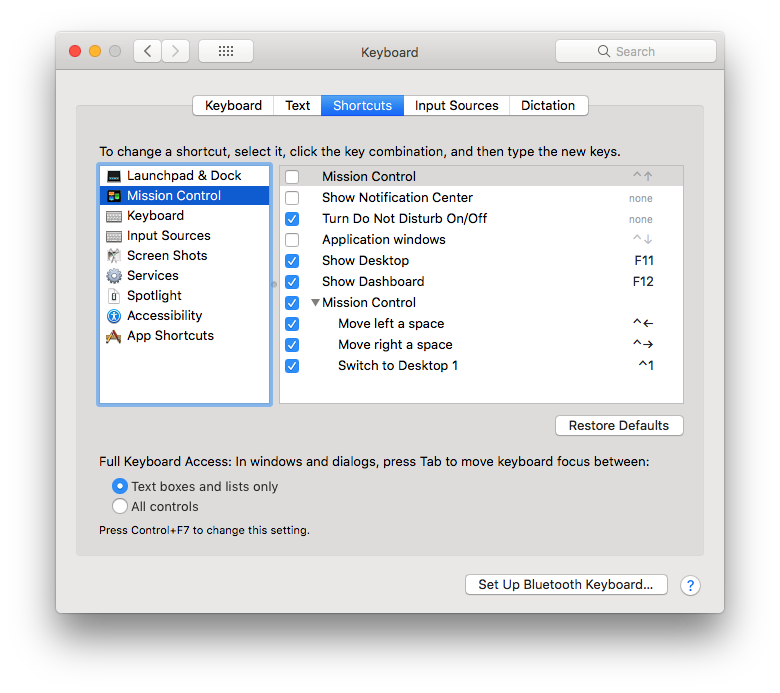 Any way in OS X to use a keyboard shortcut to switch to a full screen application?